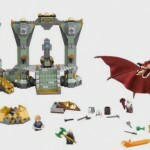 Lego Erebor set for the Hobbit: The Battle of the Five Armies unveiled! 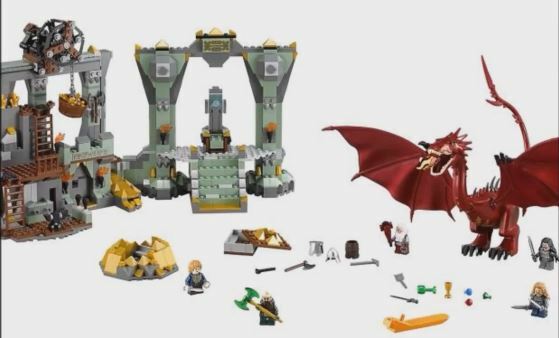 Lord of the Bricks has just unveiled the forthcoming Erebor Lego collectible set. The set, which contains some 800 pieces, will debut in October. As well as Smaug, it contains five minifigures — Bilbo, Dwalin, Balin, Thorin and Fili — but no new characters Every character has new torso printing, and Bilbo has his mithril shirt.